Someone asked me why I was pissed off with these Godmen and Godwomen. The answer is I am not pissed off with them, I am pissed off with you for thinking that you cannot be one… 🙂 Seriously… Why are you not trying….? A Godman or a Godwoman is a lucrative and fool-proof career because it is build on making fool of others. This post is for aspiring Babas and Matas and anyone who has the ability to fool others and does not feel bad about it can attempt these 25 golden or (GODlen) rules. This post is not meant for existing followers as they would find it offensive but if you are a follower and you want to become one then read on…. Choose a peculiar outfit, one that goes well with you and people would not try wearing to work. Something ultra traditional is best to start. Very revealing ones for men and less revealing for women preferred. Get a well educated Young guy preferably from a top institute and someone who does not have an immediate aspiration to put up his own spiritual shop. Get an accountant who can manage cash and other transactions and invest to multiply it properly. Invest in land and get donations and reinvest…..
Get endorsed by a few actors and actresses movie and TV stars. Make a few people change their name or spelling on your ask and make them feel that it made all the difference. You get a lot of these kinds now…. Never bad mouth other religions or other Godmen and Godwomen, it is a total No No… You need to respect others in the industry as that goes a long way. Don’t smoke or Drink or eat meat. Take it as a diet for good health and it will pay off. Always be in a place where there is a higher ground and instead of sitting there sit on the floor and let one of your initial inductees force you to sit at a higher ground. This should happen a few times and it will become the norm. When you sit leave your slippers aside visible for people to bow to. Never ever wear socks, make sure you clip your toenails and invest in pedicure. Once you gain more people the feet is a main crowd puller and money maker. Always try to smell of sandalwood and stuff as it gives a very good ambience for everything. 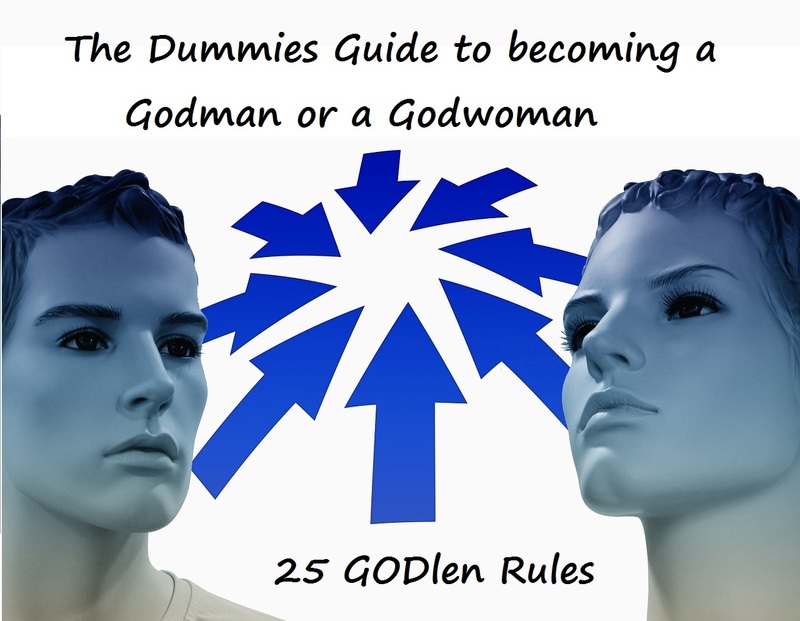 These 25 points are just the start and it takes a lot of effort but anyone can be a Godman or Godwoman you too…. The points you need to keep in mind is don’t do anything illegal. The challenge is most people who come there do so for some need of theirs and would expect you to personally involve. Do not do it… You should not be identified with individual follower disputes. You are above that. Forgot one thing Vinod. Trying to sing some hymns even if they are off taal or Swara.go into trance once in awhile which will make it perfect.